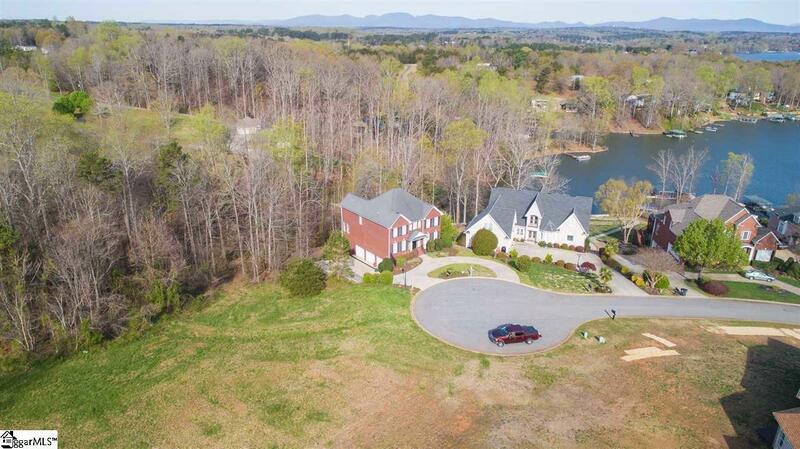 Gorgeous WATERFRONT home located in Woodfin Ridge Golf Community. Over 4000 heated sqft feet in this 5 bedroom 4 full bathroom one half bath home! 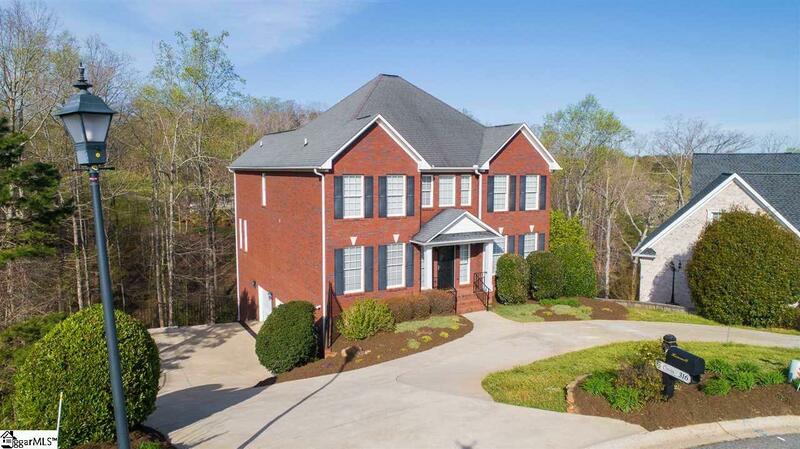 This beautiful waterfront all brick home sits on six tenths of an acre in a cul-de-sac! Entering in through the front door you are greeted with 9ft ceiling. Very open & spacious! Main level of home features large great-room with stunning fireplace w built in seating. Floor to ceiling windows allow sunshine to beam in on those beautiful days! Kitchen is open to great-room and dining area. Built in bar creates more seating for family & friends. Granite counter tops,stainless steel appliances,abundance of cabinets and pantry...Chefs Dream!! 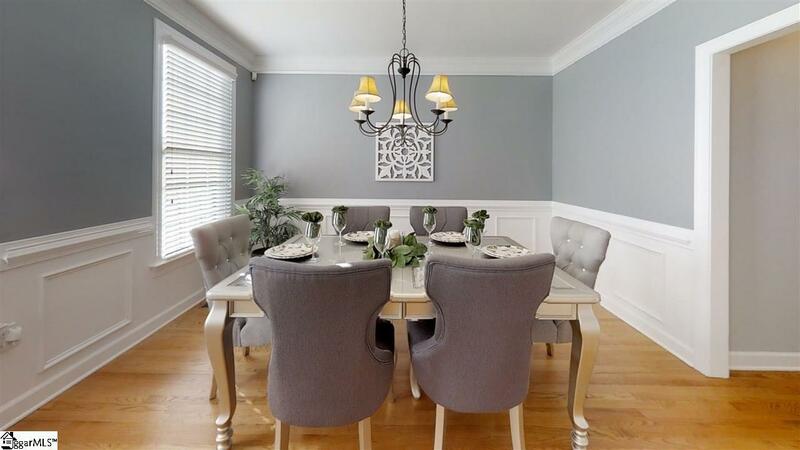 Formal dining room for those holidays celebrations! Large office on main could also be used as 6th bedroom. Upper level of home features 3 secondary bedrooms...all with large closets. Master bedroom is very large in size. Easily accommodate king size furniture. Area for an office, nursery or a great place to relax and read a book! Master suite is spa like with jetted tub, separate shower, duel sinks, water closet & lots of space! Lower level of home has a lot to offer. This area could easily be a mother-in-law suite or teenage hangout. 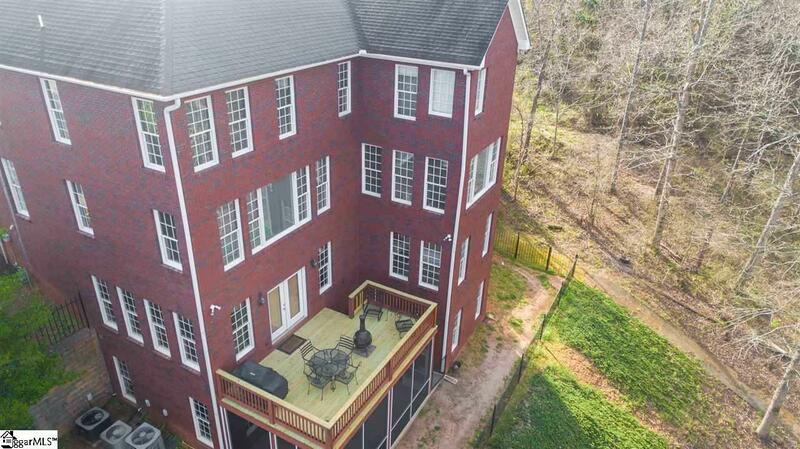 Complete with sink, built in cabinets,microwave,small refrigerator, full-bath,private bedroom, recreation room that leads out to large deck! Floor to ceiling windows to view the lake! The basement level of this home could be finished to add more living area. Another bath could be added along with an additional bedroom. This level leads out to a covered screened porch that look at Lake Bowen. Walkway leads you down to the dock for easy living on the Lake! Three car garage with storage. This home has extra perks all the way through it. Its a must see! Interior has been freshly painted! Great place to enjoy golf and boating!! Greenville within 30 minutes. Asheville NC within 50 minutes.